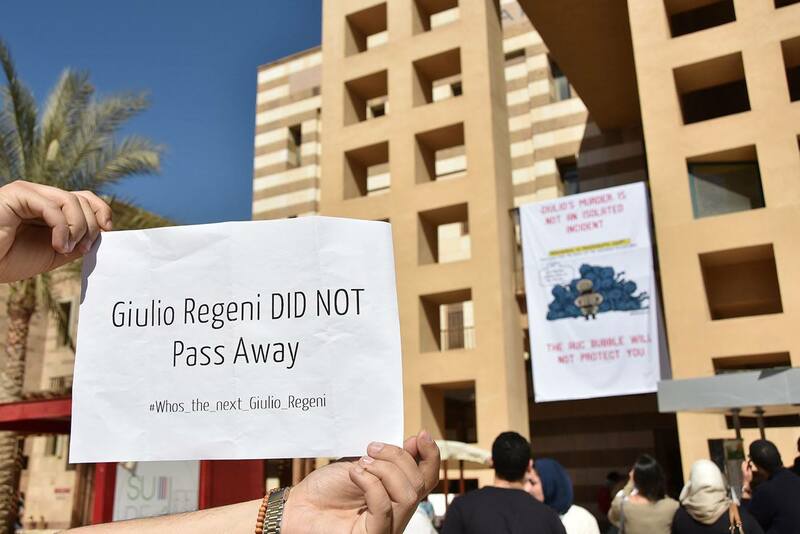 Dozens of students and professors participated in a demonstration to show solidarity with late Italian student Giulio Regeni at the American University in Cairo (AUC) on Wednesday. Held two weeks after Regeni was found dead, the organisers said the event was both a stand “for Giulio Regeni” and “academic freedom,” as well as a stance against mounting state repression. Regeni, a 28-year-old Italian Ph.D. student in Cambridge University, disappeared on January 25, on the fifth anniversary of the 2011 uprising that toppled former Egyptian president Hosni Mubarak. He was a visiting scholar at the American University in Cairo and conducted research on independent trade unions. His body was found with visible torture marks 10 days after he went missing but with his disappearance and subsequent events still shrouded in mystery, speculation has mounted and Italian media services are openly blaming Egyptian security forces. Regeni’s death has been at the centre of international media reports and has reignited the discussion on Egyptian police tactics. A report published by The New York Times on Friday under the headline, “Death of Student, Guilio Regeni, Highlights Perils for Egyptians, Too” claimed that Regeni was taken into custody before he was killed. 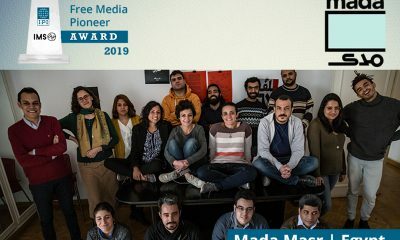 The Egyptian interior ministry has denied Regeni’s arrest, accusing “some Western newspapers” of publishing “completely false” news on the conditions of his disappearance. In the AUC’s spacious plaza area, students stood next to professors in a chain and chanted against the university administration and the Egyptian interior ministry, an eyewitness told Aswat Masriya. Ayah Abo-Basha, one of the organisers of the protest, said students were taking the stand that the university failed to take. History Professor at AUC Khaled Fahmy described the administration’s statement on Regeni’s death as “shameful” in a recent article, in which he also lamented on the lack of defenders of academic freedom. A few days after the initial statement, AUC published a “corrective statement” saying that the university has been in close contact with authorities since Regeni’s disappearance and that it continues to monitor the case. The AUC extended its condolences and sympathies once again, this time without using the term “passing away”. 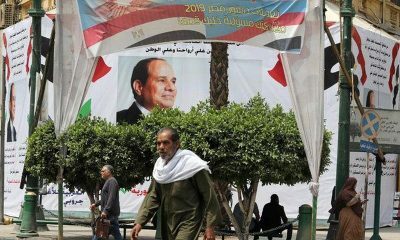 On February 8, more than 4,500 academics signed an open letter addressed to President Abdel Fattah Al-Sisi over the death of Regeni, as well as forced disappearances and torture in Egypt. 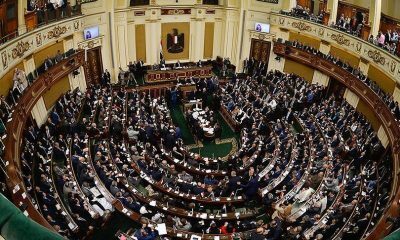 The letter called on Egyptian authorities to conduct an independent and impartial investigation into incidents of forced disappearance, as well as cases of torture and deaths in detention since the start of the year. They also called for bringing those responsible for Regeni’s death to justice. A memorial service to commemorate Regeni’s loss is scheduled to take place next Wednesday at the AUC. Regeni’s body was found on the night of February 3 alongside the Cairo-Alexandria Desert road, marred by torture marks and bruises. The body was repatriated to Italy and his funeral was held on Friday in Fiumicello, Regeni’s hometown, with thousands attending. Egypt’s forensic medical authority handed Regeni’s final autopsy report to the public prosecution on Saturday, Reuters reported. The prosecution said it would not publicly disclose the contents of the report as the investigation was ongoing.